Comparison between rubble piles and monolithic targets. 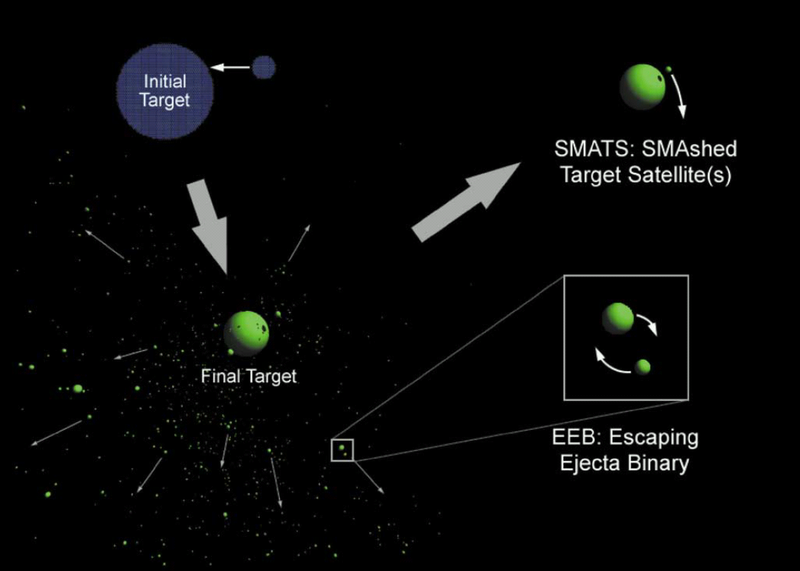 Hasty powerpoint presentation of an impact that creates a typical EEB cluster. 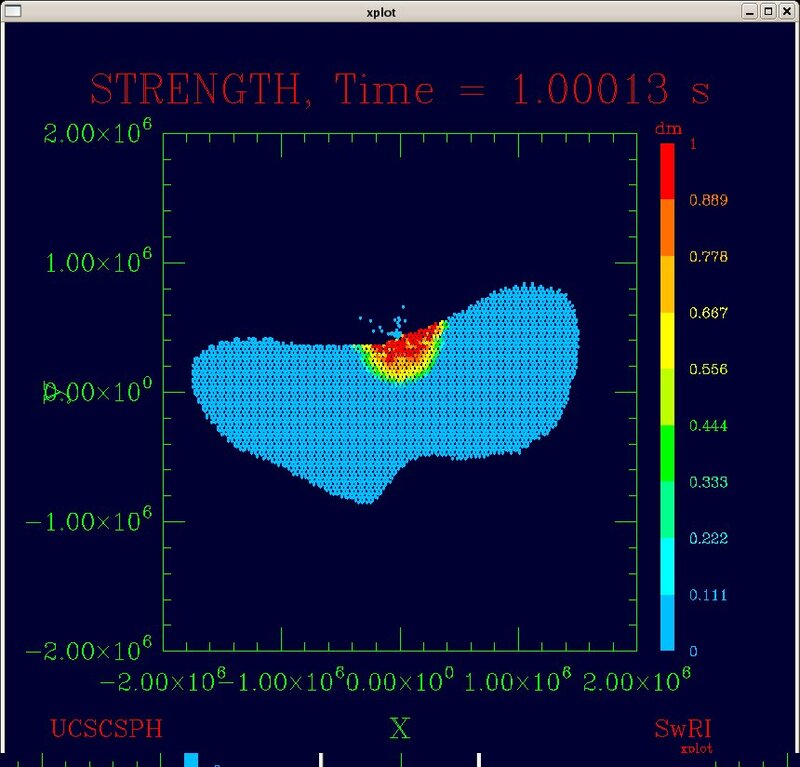 NOTE: parameters are identical to the previous simulation, except for a higher impact velocity.